With the number of practising solicitors at around 130,000, the big question for many solicitors is how to stand out from the crowd? 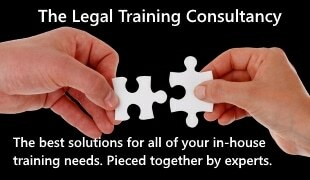 Some of the answers can be found in a new handbook from CoreLegal that helps to provide the necessary inspiration. Entitled ‘Running A Successful Law Firm – Strategies and Tips for Success’ the handbook has being published this month by CoreLegal, priced at £14.99. The book is packed with information provided by various contributors which will help solicitors run a more effective and profitable business. Co-written by experts in their respective field who work with solicitors closely on a daily basis, the 182 pages are full of insights, tips and strategies that are proven, relevant and easily applicable. It covers operations, marketing and finance functions within a law firm, and has easy to implement checklists so the new wave of law firms can see what they should have in place and how well they measure up. Specific topics include bookkeeping, business development, marketing and market research, insurance, IT systems, building a team and exit strategies. The book can be purchased and downloaded for £14.99 direct from CoreLegal at http://www.corelegal.net/book/ and a hard copy version will be available shortly at www.amazon.co.uk.